About 3 years ago, my wife Laura and I really began to feel a burden for the lost people who were missing from churches in the Mountain Grove, Mansfield, and Ava areas where I had grown up and was serving as a Student and Worship Pastor. It was particularly obvious that most people under 40 were missing not just from our church, but from most area churches. And while most people around us in church were comfortable, we were bothered. So, we began to research church plants and the church planting process. At that time, I had not completed my seminary work and didn't have any sending church support. 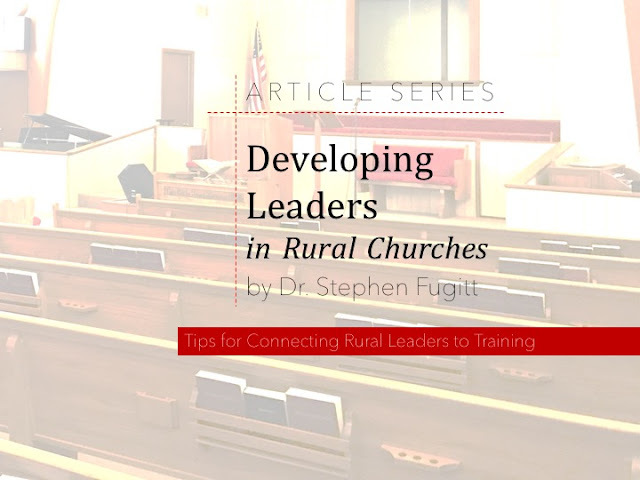 I priced some buildings and began to build a folder of ideas on my computer, but then God opened the door to Westside Baptist Church in Waynesville, Missouri. At that time, I was still strongly called to lead worship as a major part of my pastoral role. As the new Young Adult and Worship Pastor at a church of over 700, I thought I had landed my dream job for at least a decade. But, in late 2011 and early 2012 God began to move in my life. I knew that a change was coming in how God wanted me to serve. I knew that I had been called to lead a church and shift my worship leadership from music to the spoken word. So, I began to learn more and more about how to lead a church from the staff at Westside, and I enrolled in Seminary and finished my Master of Arts in Theological Studies. Then one day, we got word that a representative of the Missouri Baptist Convention wanted to meet with us as a staff. As they laid out the vision for a church restart/plant, I was already interested, but when he got to the end and told us where it was located, I was blown away. It was the very same area where I had grown up and served prior to my current job. God had not given up on the lost people of that area, and I believe that what He began to work in Laura and I three years ago had also begun in the hearts of the state convention and those at the local church seeking help. After months of prayer, I am confident that come what may, this is my mission. I know the people. I know the area, and I know the culture. It could not be a better fit the way God has brought it all together so far. I can look back at the last several years and see God preparing me for the challenges that will certainly come. I believe my call to ministry remains steadfast, only God has clarified the role He wants for my next season of service. I told my current pastors and mentors that if I was looking to lead music, I would remain in my role because it truly is an amazing blessing and an amazing platform for missions. However, I have never had more clarity of call than over the past year. As Paul says in 1 Corinthians 9:16-17 "Yet when I preach the gospel, I cannot boast, for I am compelled to preach. Woe to me if I do not preach the gospel! If I preach voluntarily, I have a reward; if not voluntarily, I am simply discharging the trust committed to me." I realize that we are all called to evangelize as this verse instructs, but it echoes my fervent desire to connect as many people as possible to the message of the Gospel. I preach because I am unable not to. I know there are unknowns with a mission and church plant like this, but I believe God is calling us to have faith. 1 Corinthians 1:18-20 says: "For the message of the cross is foolishness to those who are perishing, but to us who are being saved it is the power of God. For it is written: “I will destroy the wisdom of the wise; the intelligence of the intelligent I will frustrate.” Where is the wise person? Where is the teacher of the law? Where is the philosopher of this age? Has not God made foolish the wisdom of the world?" Sure we could invest all of our resources at the home church, or I could get another job that is more stable with higher pay. But I want to be where God wants me - doing what He wants me to do. Please pray for our family on this journey.